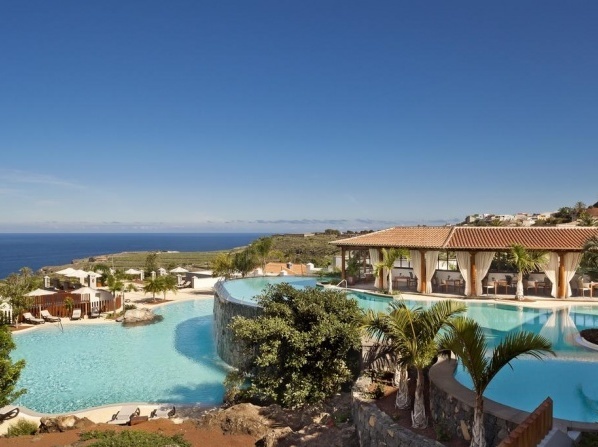 Situated 500 meters from La Caleta de Adeje Beach, this 5 star hotel offers villas with furnished terraces and beautiful views of the Atlantic Ocean. The spacious villas are decorated in neutral tones, providing an atmosphere of relaxation and tranquility, with breathtaking views of the golf, the surrounding mountains of Adeje and the sea. Some villas at this luxury hotel have a hot tub while others have a private pool. Child-friendly amenities include a children's club and children's pool. 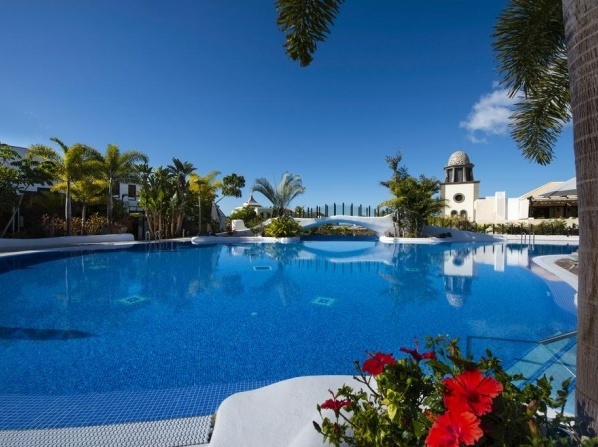 Sumptuously positioned in the south of Tenerife, this hotel consists of 28 individual luxury villas with their own pool. This 5-star boutique hotel offers luxurious, Balinese-style villas with private pools, a gym, spa and impressive ocean views. Spacious and well-presented 45m2 rooms decorated with tiles and woods. If you want to spoil yourself, just try one of the hotel's beautiful suites. All children under 2 years old stay for free in children's cots/cribs. Its luxurious amenities and facilities are designed for families, couples and business clients. 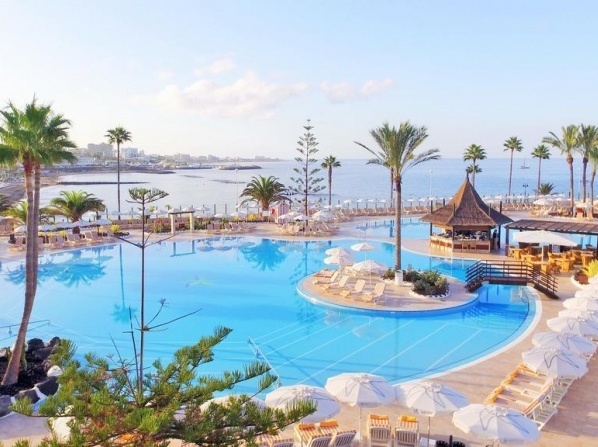 It features 180 double rooms, 28 double superior rooms, 15 sea view suites as well as 142 family-rooms, to enjoy a truly luxurious holiday in Tenerife. Children's menu, Kidsclub (4/7 years), Maxiclub (8/12 years). 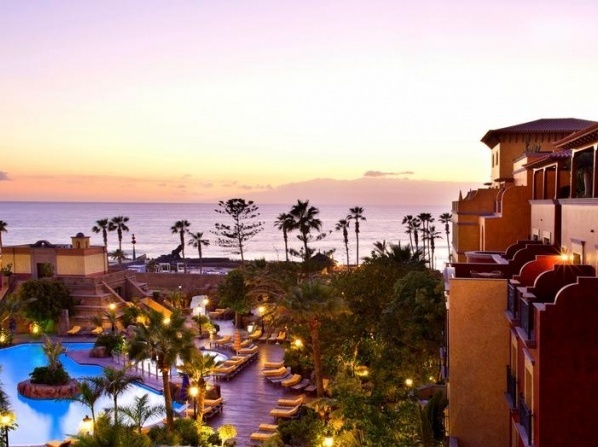 A fabulous 5-star hotel in Costa Adeje, Tenerife ideal for unforgettable vacations and memorable getaways. 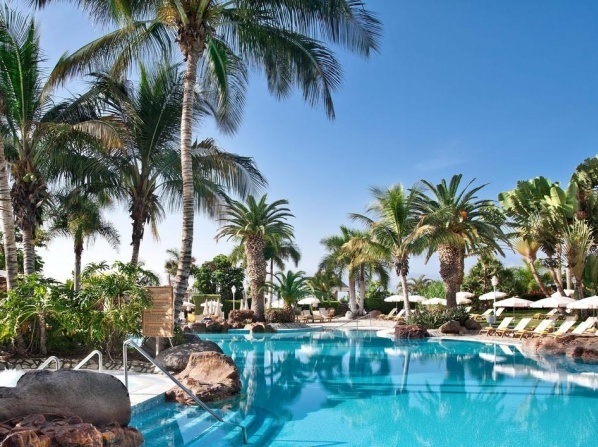 One of the premium luxury hotels in Canary Island, situated in Puerto de la Cruz in Tenerife. The hotel offers several facilities that will make your family holidays even more comfortable: Interconnecting rooms at special family rates, children’s pool, children’s menu, free cots and babysitting on request. 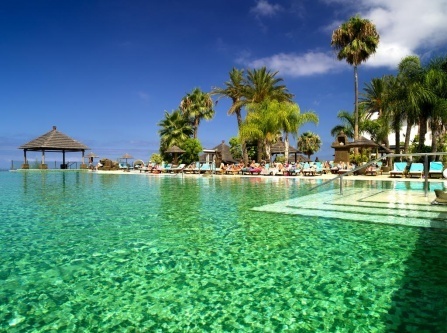 In Tenerife's Guía de Isora, this resort overlooks the Atlantic Ocean and its neighboring island of Gomera. This luxury hotel features 7 outdoor pools, a spa, golf course, tennis courts and a private beach. The hotels offers packages and treatments tailor-made to suit the client's mood and requirements, from beauty treatments and bathing rituals to yoga classes and massages for couples. The hotel's new Kid`s Club provides an outside play area plus over 305 square meters of indoor space. With uninterrupted ocean views, a wide range of sport, beauty and health services and the beauty of the minimalist style, Roca Nivaria is the ideal holiday destination for couples, families and anyone seeking quality in an familiar, exclusive environment. The hotel enjoys the most excellent shoreline location, offering unbeatable views over the Atlantic Ocean and access to a small private beach. Situated in the peaceful Playa Paraíso area, this 5 star hotel gives the illusion that it is surrounded by the ocean. This makes it the perfect destination to switch off from the outside world. Located on Camisón Beach, this stylish hotel features a spa, an outdoor pool and air-conditioned rooms with free Wi-Fi and a balcony. The rooms at this boutique hotel feature parquet floors and elegant décor. Each room has a safe, a flat-screen TV and minibar. The upscale hotel is set along the Arona's boardwalk, directly facing the Camisón beach and the ocean. 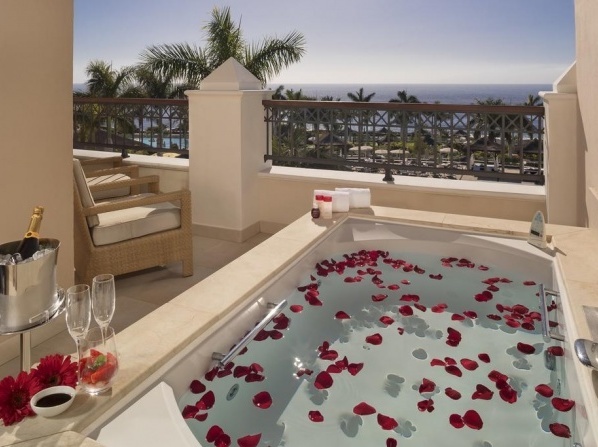 A magnificent luxury five star hotel in Tenerife with personalized and preferential service. Luxury and exclusivity are granted in this adult only hotel, in which children cannot be accommodated. Situated on the seafront, the hotel offers a fitness room, 6 restaurants, spa and luxurious rooms with private balconies. Because of its beachfront location this luxury resort has the most spectacular views over the Atlantic ocean. One child from 3 to 11 years old is charged 40% of the room stay in an extra bed; maximum number of extra beds in a room is 1. 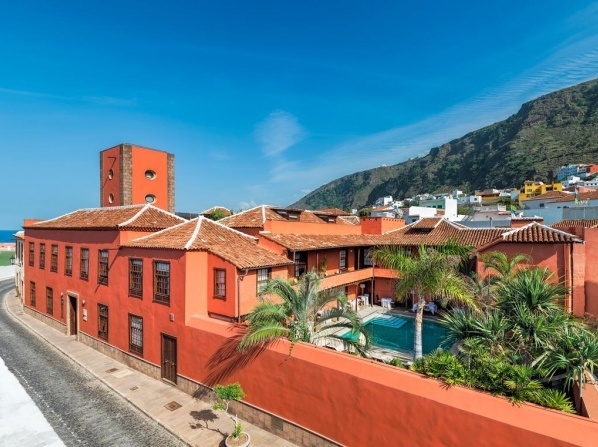 In northern Tenerife near the Atlantic Ocean, the resort is less than 1 km away from the Buenavista Golf course and 11 km away from the Castillo de San Miguel. A luxury hotel exquisitely decorated in a colonial style. These luxury 5 star suites on the Costa Adeje have free Wi-Fi, a balcony and a hot tub. A luxury hotel right next to the extraordinary Playa del Duque beach, the perfect destination for a relaxing 5-star vacation in a traditional Canary Island atmosphere on the island of Tenerife. Child care and play area. No charge for children over age 3, children under 3 must be accompanied by an adult. Babysitting service is available upon request at an additional cost. 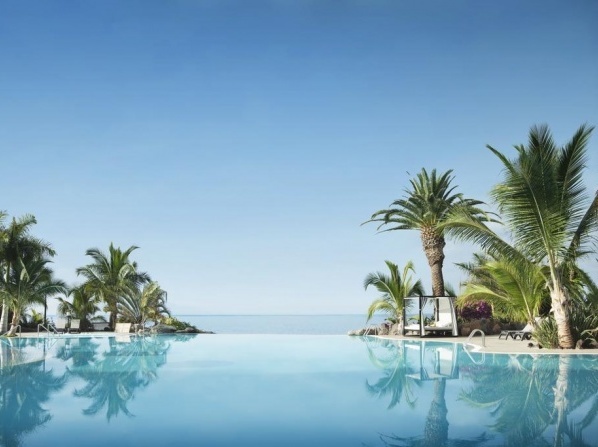 Located on Duque Beach, this 5 star hotel is set around 2 outdoor swimming pools, overlooking the island of La Gomera. A luxurious, adults-only hotel that features elegant junior suites with a furnished terrace or balcony, some with views of the Atlantic. Deluxe hotel overlooking the ocean, offering the most elegant and intimate accommodation for adults. This luxurious 5 star hotel accommodates guests over 16 years of age. A boutique style hotel with Asian-style design and spacious,air-conditioned rooms with a well-equipped kitchenette and bathroom. Offering great facilities and amazing staff this four star hotel will make your holiday the best one you have ever had. 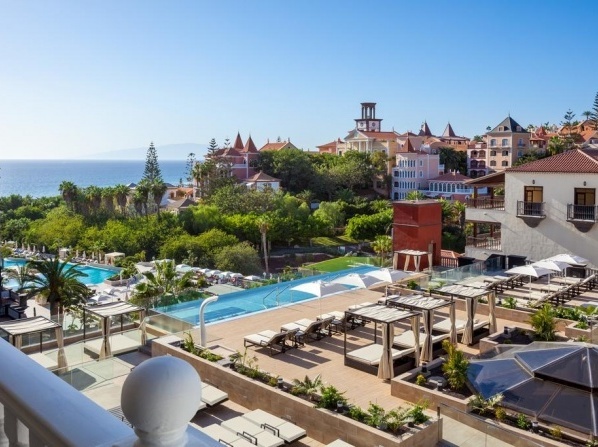 Considered one of the most luxurious hotels in the south of Tenerife, Jardines de Nivaria is set on the seafront in the extraordinary Playa de Fañabé area, just 17 km away from Reina Sofia international airport. 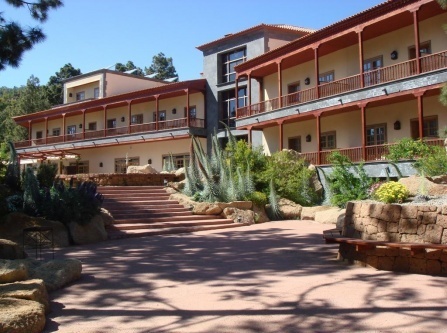 The hotel has family rooms and a children's playground. Its architecture, services and personalized attention are what make this 5 star hotel stand out, making it the ideal destination for memorable holiday in Tenerife. 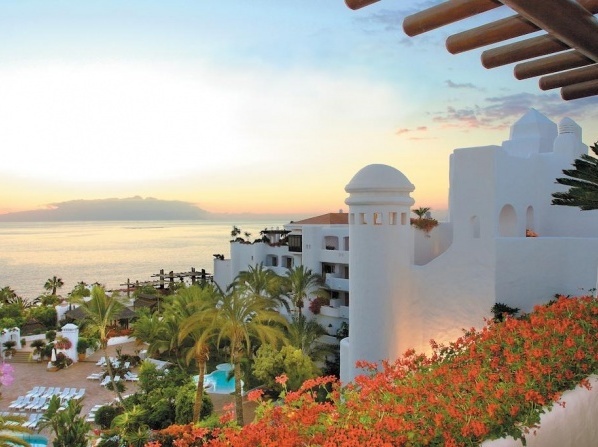 Located on the island of Tenerife, the hotel has been voted Spain's best vacation hotel. It offers exquisitely decorated rooms and suites, wellness treatments, bars and restaurants along with a large variety of leisure activities. This adults-only oceanfront boutique hotel offers a personalized butler service, an outdoor pool with Balinese beds and hydromassage loungers. Elegant oasis for adults, offering luxurious accommodations close to the beach. 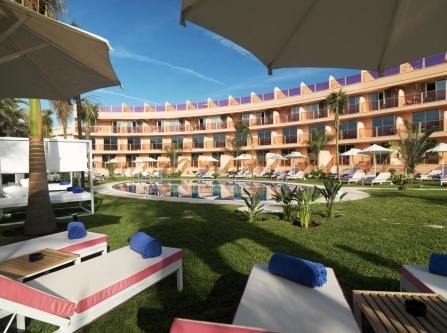 The hotel is surrounded by Roman styled terraces and it offers direct access to the ocean and El Camisón Beach. This attractive boutique hotel features elegant apartments with a balcony and kitchen, a heated outdoor pool and sun terrace. 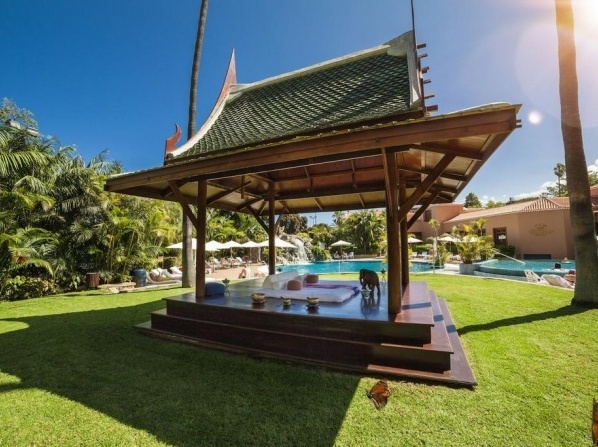 Having the charm of a small resort, this luxury hotel features 18 apartments/villas distributed around the main pool and fully equipped with a very personalized service. Family amenities include babysitter services, play ground for children and free cots. This elegantly luxurious hotel is surrounded by tropical gardens with an access to the rocky seafront. 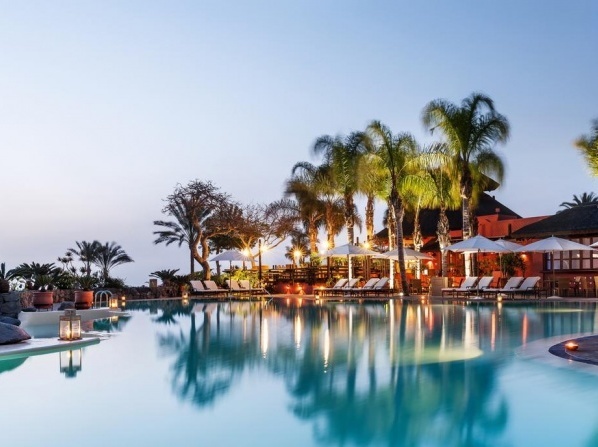 An elegant four star hotel perched on the edge of the Atlantic Ocean in the exclusive Costa Adeje. Boutique hotel with contemporary rooms with Charles Rennie Mackintosh furniture, a flat-screen TV, a hydromassage bath and free Wi-Fi. Set in beautiful 18th-century villa, this four star hotel offers bright, striking design.